Happy Spring! Happy First Day of Spring! Celebrate spring with these comments, photographs, drawings and graphics designed for posting on social networking web page or blog. 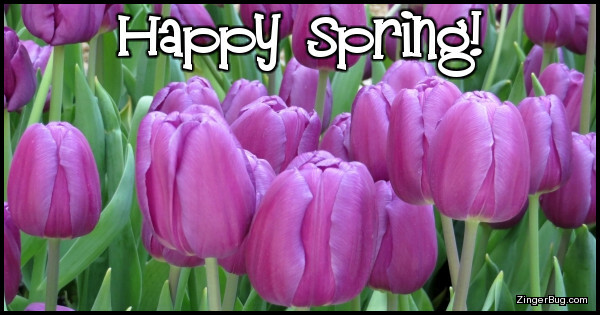 Spring officially begins with the vernal equinox, typically on or around March 21. Flowers are blooming, sprouts are sprouting and the world is full of new life!